2017 marks a new year in kitchen design with a blend of earthy color palettes and modern technological features. For the latest kitchen design trends, you can always count on our kitchen cabinet and design contractors to be up-to-date on the latest interior design news. Our experts have provided tips below on how you can refresh the look of your kitchen and impress your house guests with your knowledge of interior design. Clean, quality-made kitchen countertops not only make it easier for you to cook, but they also make your kitchen appear more spacious. Even small kitchens can feel airy with clear countertops. To achieve this look, you must first deal with the clutter on your countertops. For most homeowners, this includes blenders, coffeemakers, toasters, cutting boards, and more. The only problem is where to put these household items once they have been removed from your now clutter-free countertops. An expert kitchen cabinet contractor can help you design custom-made cabinets with shelves and compartments for all your stuff. It has now become trendy for cabinets to be customized with compartments for specific items, such as paper towels or even tea bags. The demand for smart storage solutions has only increased over the years. 2017 is no different. If you want to find a permanent storage solution for hiding kitchen appliances or storing canned goods, you can hire an experienced kitchen design team. These custom-built pantries are sometimes called larders, which is another word for a large cupboard. Even though this kitchen design trend emphasizes practicality, there is no reason to abandon your design preferences. Larders come in a generous selection of natural hues to complement your current kitchen cabinets. Having increased kitchen storage space can also help you stay more organized so that you always find what you need. While painted cabinets have been around for a long time, this year they are getting a makeover with fresh coats of gray paint. Gray seems to be the staple in many new kitchen color schemes, starting with well-constructed kitchen cabinets. In addition to the gorgeous hues of stormy gray, cabinets are becoming sleek in their new designs. (Some don’t even have handles!) Slim kitchen cabinet designs are achieved through combinations of shaker style cabinet doors and slab drawers. These features create a winning combination that adds a bit of sleek sophistication to any cooking space. To create a more traditional color scheme that will stay relevant for years to come, many homeowners are turning to the colors found in nature. Gone is the age of stainless steel appliances. Now, homeowners are looking for colors that complement their luxury custom-made kitchen cabinets. In particular, gray painted cabinets and copper accents in the form of handles and kitchen appliances are popping up in American kitchens. Copper is a natural metal that offers warmth to any kitchen aesthetic. 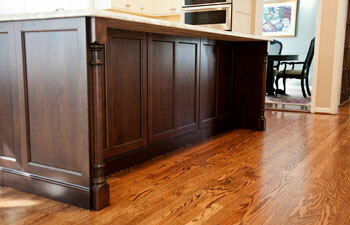 Its earthy tones also help give your kitchen an air of timeless grace. Technology has changed much of how we lived in the past five to ten years. Likewise, how we use our kitchen spaces is not immune to the march of technological advances. More and more homeowners are designing contemporary kitchens by purchasing integrated speakers with Bluetooth capabilities. Phone charging stations via pop up sockets are also a common feature in modern kitchen design. If you are interested in our kitchen design and cabinet services, please feel free to call our Oakland County kitchen design contractors at (248) 850-7178. 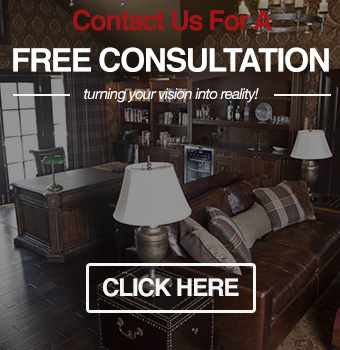 Visionary Cabinetry & Design is dedicated to helping clients unlock the potential in their homes through quality kitchen remodeling and design services.